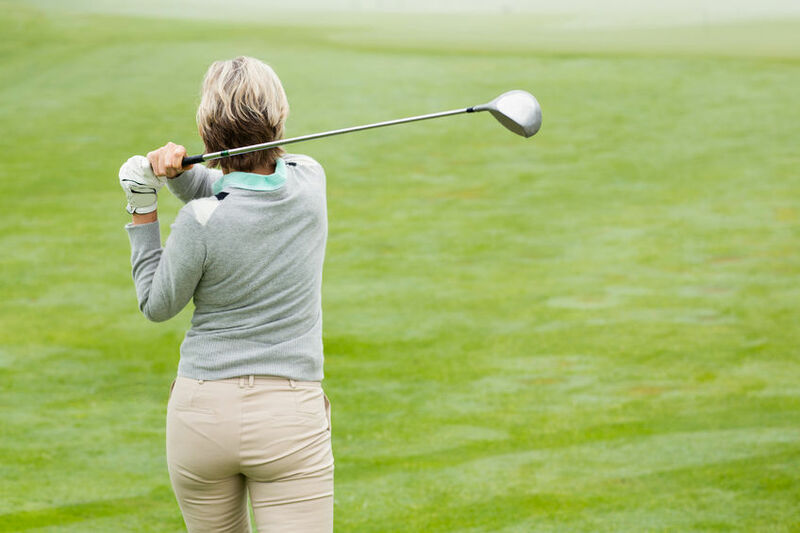 The popularity of golf as a sport among women has grown in recent years. With that increase and initiatives from organizations like the Pro Golf Association to raise those numbers, the number of companies developing golf shoes has burgeoned exponentially. Every company that makes athletic shoes now offers golf shoes for both men and women, and companies who focus primarily on golf-related gear now offer full lines for women, including shoes. The shoe you choose affects your footing, and your footing, the primary determination of swing quality. This article discusses how to determine the ladies golf shoe that is right for your game, and some suggestion of which brands and styles may work best for you. Standard shoes that look like saddle shoes or sneakers are the most commonly seen on the course and in stores. Boots are a staple for playing in cold, inclement weather. They are designed for warmth, extra protection, and support. Sandals are popular in almost every sport, from water activities to hiking. Golf is no exception. Sandals are great for comfort if you are playing in hot weather. Spiked shoes help gain maximum traction, power, and swing control. Some golf courses don’t allow spikes, so check before you play. Spikes can be made of metal or plastic, although the latter is more common. Spikeless shoes are the biggest trend in golf footwear. Golf Magazine estimates that almost half of all golf shoes sold today are spikeless. Ladies spikeless golf shoes tend to be more comfortable, especially when worn off the green. Shoes made of synthetic materials or specially treated leather allow you to play in damp morning grass or rain. High-end brands provide a warranty covering their ladies shoes. Often, the longest-lasting, most comfortable shoes tend to be the top of the line, pricier ones. The interior of the shoe should be manufactured for maximum comfort and protection from the elements. There was a time when ladies golf shoes came in a limited selection of styles and colors. Shoes now come in dozens of looks, allowing you to choose golf shoes for women that reflect your personal style. If you lean toward the conservative, you can choose a classic saddle-shoe style in a neutral color. If you want to make a fashion statement, take a look at the wide selection of sporty shoes now available. One of the most important factors in choosing golf shoes for ladies is comfort. It doesn’t matter how fancy or high-tech a pair of shoes is if you are uncomfortable walking miles of fairway. Have them fit by a professional, preferably in a store that specializes in golf or sport shoes. A well-built, comfortable pair of ladies golf shoes can be very expensive. With some research, however, you can find an affordable pair that will feel good, assist your game, and last for several seasons. Advanced Fit and Comfort Technology — Top of the line adjustments have been added to many ladies golf shoe lines, such as lace systems, special tongue construction, heat distribution to keep temperature even, specialized insoles for increased comfort and support, and more. The “best” shoe varies widely from player to player, but these are some of the brands and styles that appear frequently on favorites lists or are highly-rated on retail sites. adidas Women’s Adizero Sport Golf Shoe — Available in seven fashion colors along with classic colors, Adizero ladies adidas golf shoes have a sturdy leather exterior, light weight, and SPRINTWEB technology to assure stability and support. Callaway Women’s Jacqui W475-01 Golf Shoe — A very funky, classic saddle shoe style for the serious golfer. Sturdy leather upper with enhanced internal cushioning and special 6-pin comfort spikes. ECCO Women’s Biom Golf Shoe — One of the top choices for women golfers, Biom ladies ECCO golf shoes are constructed using extra-durable yak and Hydromax materials for maximum comfort, water-resistance and durability. Top of the line construction for stability, support, and light weight. ECCO golf shoes for ladies are considered by many to be the best in the field. Footjoy LoPro Ladies Golf Shoes — The flagship of the ladies Footjoy golf shoes collection, the LoPro series features high grain leather uppers, Softspikes Pulsar cleats, cushioned insole, and 1 year waterproof warranty. Footjoy golf shoes for ladies are known for excellent fit, durability, and comfort. Nike Golf Women’s Nike Delight IV Golf Shoe — One of the best and most popular affordable ladies golf shoe, Delight IV ladies Nike golf shoes are constructed of state-of-the-art synthetic materials and fashioned for greatest comfort, balance, and power. Choosing the right ladies golf shoe is imperative for the best possible game. The right shoe decides so many thing about a round, including your comfort while walking or standing, the power and accuracy of your swing, and healthy stability for your foot, ankles, knees, and even hips. Choosing shoes based on their trendy looks can be a costly mistake. Next articleA Stripper Shoes Guide Ready for the Stage!